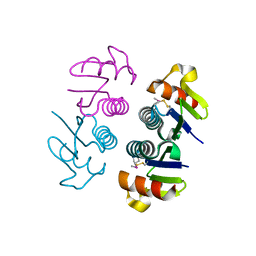 CRYSTAL STRUCTURE OF THE Q6D2T7_ERWCT PROTEIN FROM ERWINIA CAROTOVORA. 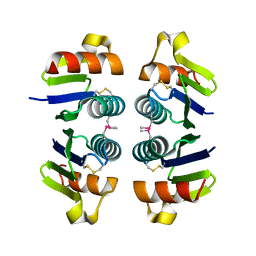 NESG TARGET EWR41. 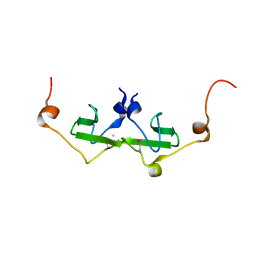 Cite: Crystal structure of the Q6D2T7_ERWCT protein from Erwinia carotovora. 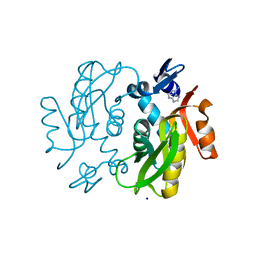 Cite: Crystal structure of vioD hydroxylase in complex with FAD from Chromobacterium violaceum. 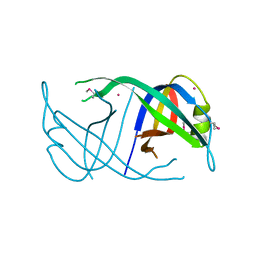 Cite: Crystal structure of DR_A0006 from Deinococcus radiodurans. 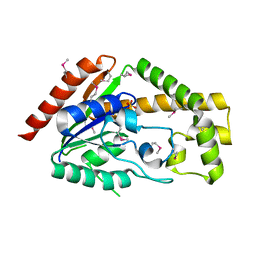 CRYSTAL STRUCTURE OF PRIMOSOMAL REPLICATION PROTEIN N FROM BORDETELLA PERTUSSIS. 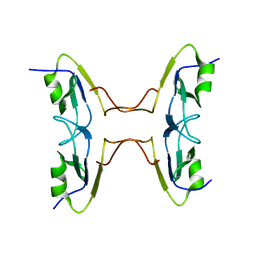 NORTHEAST STRUCTURAL GENOMICS CONSORTIUM TARGET BER132. 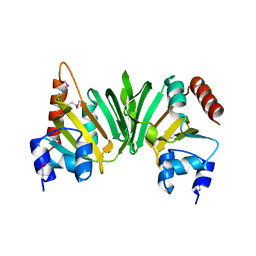 Cite: Crystal structure of primosomal replication protein n from Bordetella pertussis. 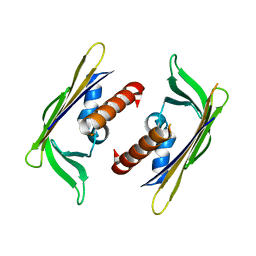 northeast structural genomics consortium target ber132. 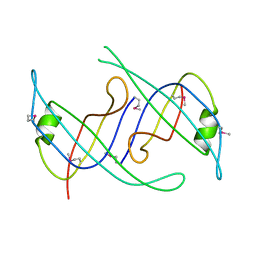 CRYSTAL STRUCTURE OF Q7WAF1_BORPA FROM BORDETELLA PARAPERTUSSIS. 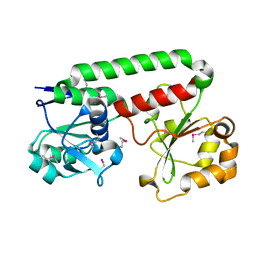 NORTHEAST STRUCTURAL GENOMICS TARGET BPR68. 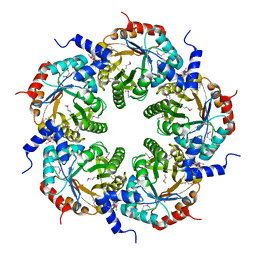 Cite: Crystal structure of Selenoprotein W-related protein from Vibrio cholerae. 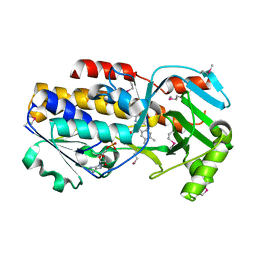 CRYSTAL STRUCTURE OF TRNA ISOPENTENYLPYROPHOSPHATE TRANSFERASE (BH2366) FROM BACILLUS HALODURANS, NORTHEAST STRUCTURAL GENOMICS CONSORTIUM TARGET BHR41. 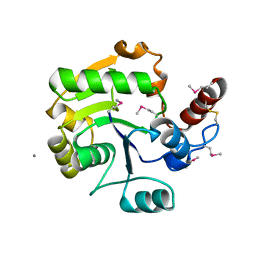 Cite: Crystal structure of tRNA isopentenylpyrophosphate transferase (BH2366) from Bacillus halodurans. 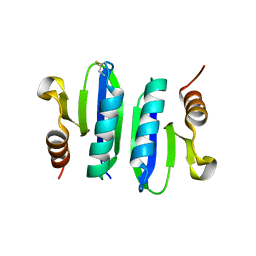 Cite: Crystal structure of chromosome partitioning protein (ParA) in complex with ADP from Synechocystis sp. 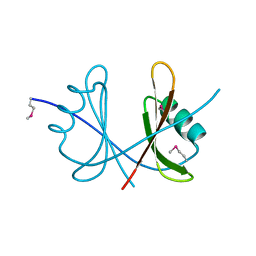 THREE-DIMENSIONAL STRUCTURE OF THE PROTEIN PRIB FROM RALSTONIA SOLANACEARUM AT THE RESOLUTION 2.3A. 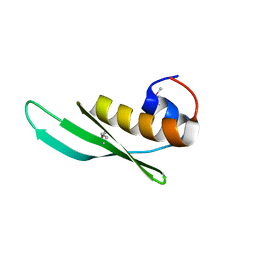 NORTHEAST STRUCTURAL GENOMICS CONSORTIUM TARGET RSR213C. 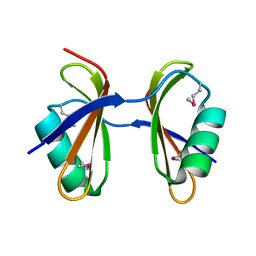 Cite: Three-dimensional structure of the protein priB from Ralstonia solanacearum at the resolution 2.3A. 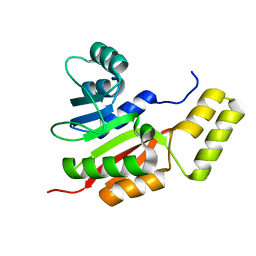 Northeast Structural Genomics Consortium target RsR213C. 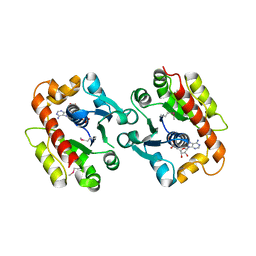 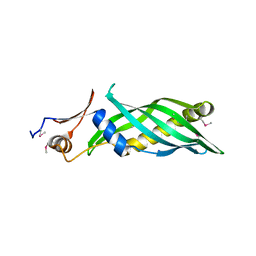 Cite: Crystal structure of the full-length tRNA isopentenylpyrophosphate transferase (BH2366) from Bacillus halodurans, Northeast Structural Genomics Consortium target BhR41. 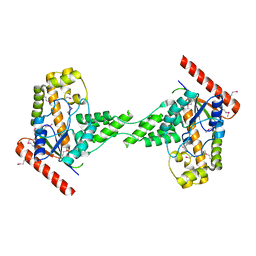 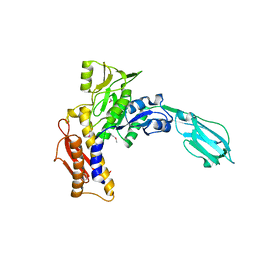 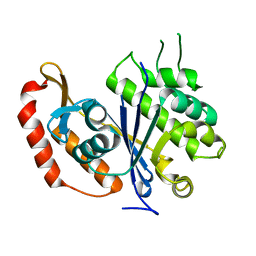 Cite: Crystal structure of the FhuD fold-family BSU3320, a periplasmic binding protein component of a Fep/Fec-like ferrichrome ABC transporter from Bacillus subtilis. 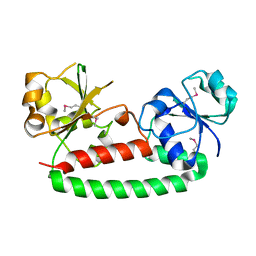 Northeast Structural Genomics Consortium Target SR577A. 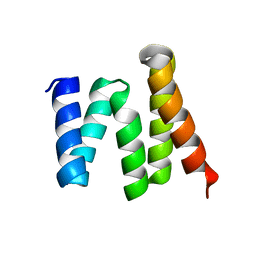 Cite: Crystal structure of the tetratricopeptide repeat domain protein Q2S6C5_SALRD from Salinibacter ruber.